Most new moms-to-be are bursting with questions about what to expect as soon as they find out they’re pregnant. Not only is it common to worry about what’s going on with the changes in their body, mood swings, what to eat and which pre-natal vitamins they should be taking, first times parents are eager to learn the best ways to care for their newborns well before their due date draws near. Pregnancy books are here to help, and with so many on the market this guide to the top ten books for expectant parents names the best pregnancy books to read while waiting for the stork to arrive. While all of these books focus on what women can expect during pregnancy, some of these are tailor made for first time dads. These best pregnancy books are just the thing for new parents. Whether they’re looking or a weekly guide to the baby’s development, seeking insight on clinical and holistic approaches to labor and delivery. Wondering what to eat, or needing instructions for how to take care of a newborn when they finally get to bring him or her home. This is the go-to book for moms-to-be and has been one of the best pregnancy books for quite some time for many great reasons. First published in 1984, the book is currently on its 5th edition, which includes new up to date information on everything expectant parents need to know. 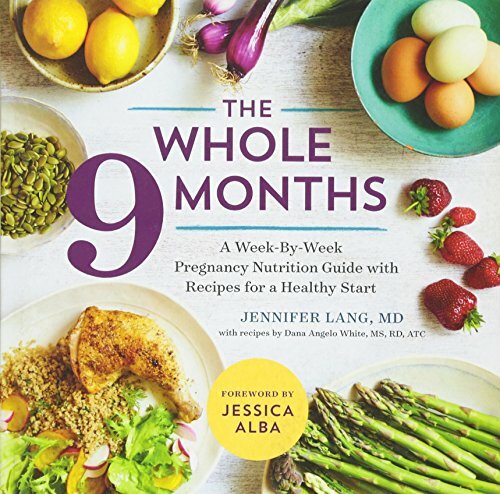 The author covers topics from the time you find out you’re pregnant up through the first six weeks after giving birth, with an entire chapter dedicated to each of the nine months of pregnancy. The book answers timeless questions about expecting a baby as well as tackling modern issues such as posting on social media, vaping, the latest health food trends, in vitro fertilization, and home birthing. Plenty of information geared toward new dads is included for first time fathers. This book really does let new moms know exactly what to expect during this magical and sometimes confusing time in their lives, with advice that stretches from the pregnancy tests through postpartum concerns such as sleep and birth control. From the unlikely problems that could arise to the joys to expect when you hold your newborn, this is a book all new moms need in their birthing bag. USA Today listed What to Expect When You’re Expecting as one of the “Most Influential Books of the Last 25 Years”. Natural childbirth practices have been gaining popularity for years, and this insightful new book is one of the best at giving new mom’s all the information they need to know as they experience a natural pregnancy. 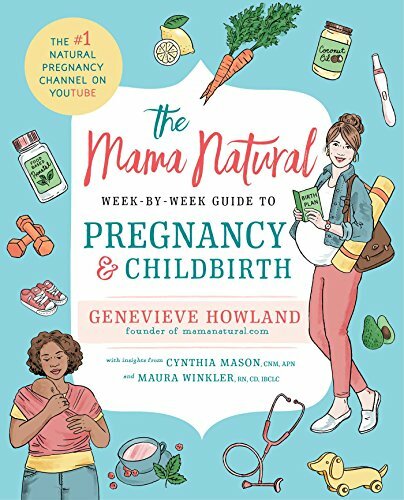 Author Genevieve Howland, also known as Mama Natural, has earned well over 60 million views on her number one rated YouTube channel due to her funny yet highly informative videos. This book takes expectant moms through each trimester with one chapter dedicated to each of the forty weeks of pregnancy. It has a Labor Playbook to take expectant parents through the stages of labor and delivery as well as a guide for interviewing midwives and doulas and deciding which place is the best for you to give birth. One of the author’s goals in writing this book was to empower pregnant moms with the knowledge that they are experiencing a beautiful and natural milestone in their lives rather than having a nine month long medical condition. Women from all kinds of backgrounds share their own positive stories about birth and delivery, and readers enjoys hearing these experiences they can relate to. This book also contains advice from certified midwives and registered nurses, doulas, and lactation coaches. The Mama Natural Week-by-week Guide to Pregnancy and Childbirth answers questions about every stage of natural childbirth including what to eat, what to expect during the delivery process, and tips for breastfeeding and child care. This pregnancy guide is just what the doctor ordered for parents-to-be who want advice from doctors who happen to be parents themselves. This comprehensive book features a pregnancy calendar that takes you through the 40 week journey of pregnancy, week by week development of the baby, and explains the changes new moms are going through each month. The pages address embarrassing questions as well as nutrition, physical activity and exercise, and expert facts about medications to use or avoid while expecting. The team of doctors from the world renown Mayo Clinic cover all the bases, sharing their parental experience combined with expert medical knowledge. Particularly impressive is the information that covers symptoms most women experience, explaining exactly what is ‘normal’ and what calls for an emergency call to your obstetrician. Moms to be learn new ways to deal with morning sickness and back aches, and gain peace of mind learning about conditions to watch out for. This totally updated and revised twentieth anniversary edition is the absolute must have book for new dads-to-be. Not only will he learn everything he needs to know about the 40 magical weeks of pregnancy the mother of his child is experiencing, the mom-to-be can be assured the book is pointing her partner in the right direction, letting him know the best way to do things and how to help her through even the not so fun parts. It tackles subjects such as what to expect during the delivery, how to balance fatherhood and a career, and caring for a newborn. Being a dad for the first time can be a scary thing. This book uses humor, real life experiences of other dads, and advice from experts in the fields of obstetrics, sociology, and psychology to alleviate those fears and instill confidence in the parenting adventure that awaits them. 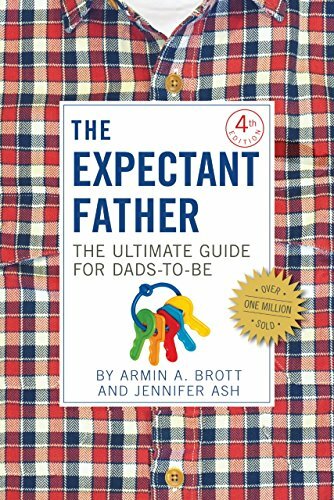 Over one million copies of The Expectant Father: The Ultimate Guide For Dads-To-Be have been sold to date. 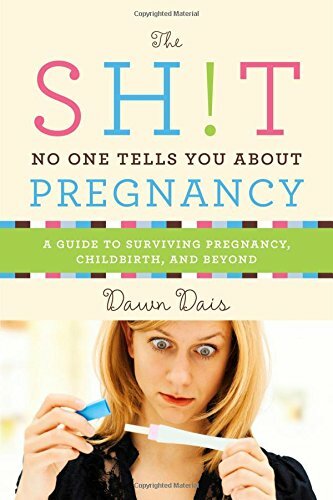 As the title would suggest, this book is the packed with plenty of funny sh!t to keep you laughing until the stork arrives. The author uses humor that all expectant women can easily relate to as she shares advice in her unique and helpful way. This guide leads you through the quirky joys of pregnancy one step at a time, teaching you vital parenting survival skills that will have you laughing out loud. It covers topics including coming up with the right baby name and the wonderful (and sometimes NOT so fun) changes in your body. With chapters titled things like ‘You’re Eating For Two But Both Of You Really Like Ice Cream’ and ‘They Will Let You Take A Newborn Baby Home: Yes, That’s Scary As Hell’, this guaranteed page turner is a must have for every pregnancy book shelf. Since eating is one of the major things pregnant people have on their mind, this cookbook is just what expectant moms need to help them with their 40 weeks of cravings. Nutritional information is explained in a way that is easy to understand as it covers your daily nutritional needs during pregnancy. There are over 100 delicious recipes with options for any type of dietary restrictions, including vegetarian, vegan, or gluten free. The authors help you select the foods that are just right for you and the growing baby, plus they have some handy tips for dealing with cravings and morning sickness. Recipes like the one for Peanut Butter Protein Bars are sure to be a tasty way to keep a mom and her growing baby happy. 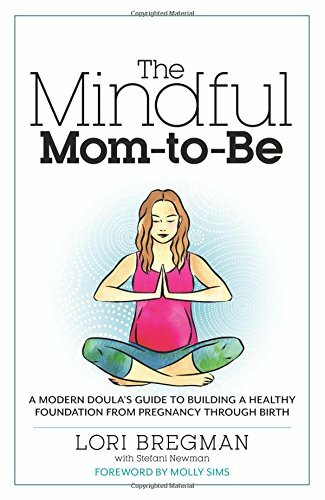 This guide is chock full of information for expectant moms who want to take a more holistic approach in their journey to motherhood. Author Lori Bregman is an experienced pregnancy coach and doula. In addition to giving plenty of information on the clinic aspects of childbirth, this guide talks about nutrition, different approaches to the delivery process, and labor plans to have in place. The bonus feature this book has is that it encourages women to take a mindful approach during this magical time, with advice about coping with stress, being present and living in the moment, and embracing the joy of gestation. The Mindful Mom-To-Be includes helpful checklists, birthing plans that are easy to customize, and guides for what to expect during each step along the way to delivery. Special exercises are just the thing to help expectant moms stay centered and mindful both before and after the baby comes. 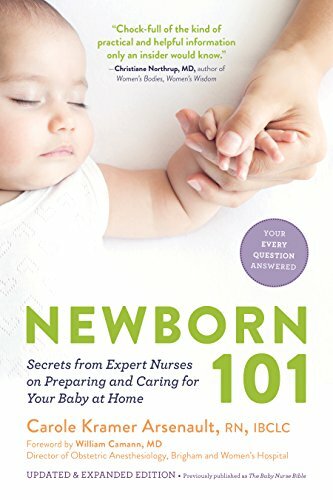 National Parenting Publications named Newborn 101: Secrets From Expert Nurses on Preparing and Caring For Your Baby At Home as a Gold Award Winner. Expert author Carole Kramer Arsenault has over twenty years of experience with pregnancy and early childcare, both through her work as a pediatric nurse and in the agency she founded for infant care services in Boston. 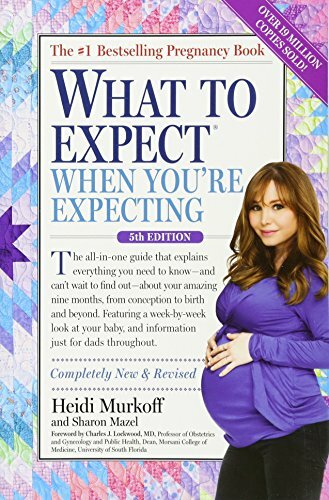 Since most first time expectant parents are worried about what to do when they bring their baby home, this is the guide that will ease a new mom’s mind. This book explains what to expect during pregnancy and labor as well as instructions for the first three months of child care when you bring home your little bundle of joy. Newborn 101 answers questions about the breastfeeding process, how to schedule feeding time for the baby, milestones to watch for, and special ways to care for twins and premature infants. The author goes over what a new mom should do to take care of herself for the weeks following childbirth. Another major feature included in this guide is advice about getting a fussy newborn to go to sleep, something all new parents will need to bookmark for help during those first sleepless months. 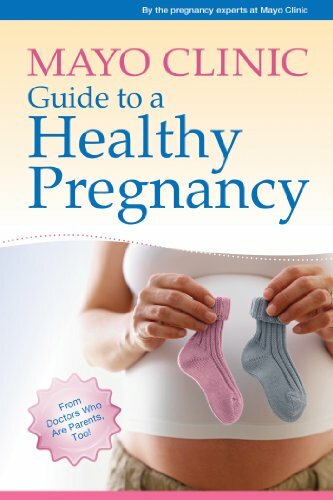 The new updated and revised edition of Pregnancy Day By Day covers everything moms-to-be want to know about being pregnant, what goes on the delivery room, and how to take care of herself and the newborn for the first two weeks after giving birth. The book goes over the latest advances in technology, ultrasounds, and 3D prenatal images of the baby. Other topics include advice on nutrition and exercise during and after pregnancy, tips on relieving pain common in pregnancy, and medical issues that might come up. 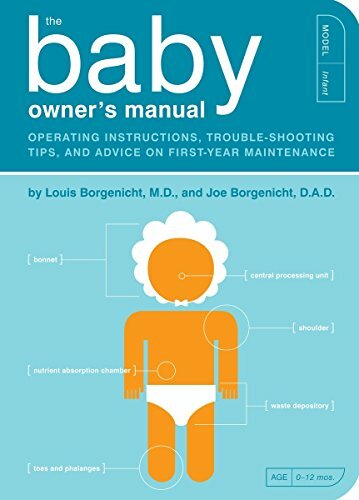 Written by a pediatrician and his adult son who often calls him for advice on fatherhood, The Baby Owner’s Manual is fun to read and full of sound advice for new parents. This must-have guide to dealing with a newborn comes complete with step by step instructions on a ton of topics, plus cute illustrations and diagrams. How the heck do you swaddle a baby? This will show you how to do it with confidence. The book tells you everything you need to know about setting up the nursery, assembling a changing table and crib, familiarizing yourself with baby paraphernalia such as pacifiers and diaper rash ointment, and takes you through the tricky selection process when buying strollers, car seats (and how to install the tricky contraptions the right way), and baby carriers. 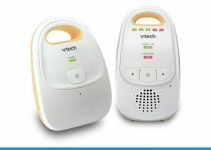 Nervous parents are reassured with ways to care for and bond with their newborn, including holding instructions, details on how to feed and burp them, diaper changing, games to play during the baby’s first few months, along with how to deal with the sleep depriving weeks when the baby is up at all hours of the night. Sound advice from the pediatrician tells parents what to expect during early child development, such as reflexes and milestones in the first 12 months. 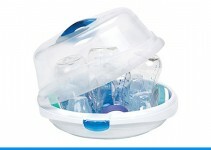 Not only does he explain how to baby proof the child’s environment, he gives instructions for emergency situations that call for infant CPR and the Heimlich maneuver. The doctor’s insight on minor childhood medical conditions covers gas, chicken pox, teething, and most common ailments babies might experience. Author Dr. Louis Borgenicht was named as The Best Pediatrician in Utah by the Ladies’ Home Journal in 2002.